Chinese Company Oppo arrived in Indian market and they launched the Oppo N1, the world’s first Smartphone with a rotating camera. The Camera support 206°rotation, you can use a single camera for both rear and front shot. The company designed the camera clips in that manner that it will lock an any angle. 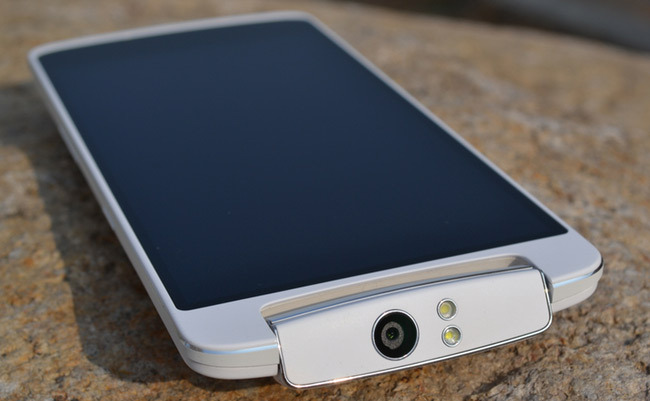 For India the rotating camera is not new as Gionee already launched E7 mini with a rotating camera. Other than Camera features, the N1 gives you premium feel. 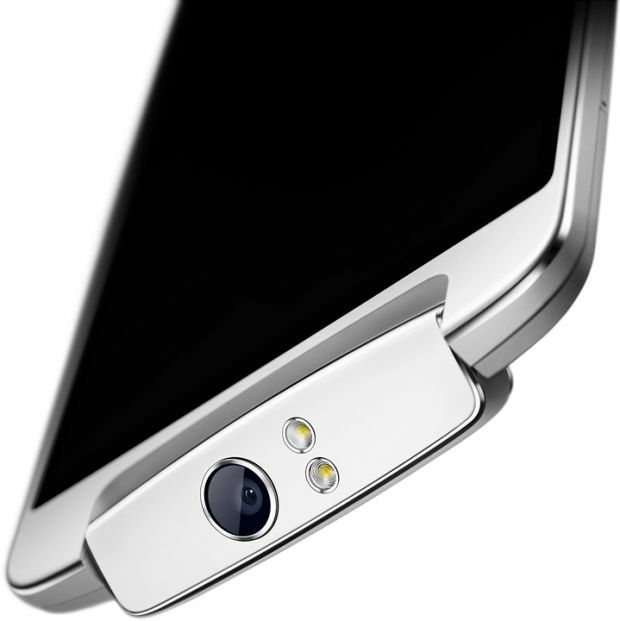 The aluminum alloy phone body is made and ceramic-like elegance keep your device free of fingerprints. In Specs, the Oppo N1 has 5.9-inch 1080 Full HD (1920×1080 pixels) IPS display, 1.7 GHz Qualcomm Snapdragon 600 Quad-Core with Adreno 320 GPU, 2 GB RAM, 13 MP camera with Dedicated ISP, Dual-mode LED and 3610 mAh battery. Oppo N1 comes with 16/32 GB of Internal storage and runs on Android 4.2.2 KitKat OS.